Jake tells the wedding party that Sonny was shot. Carly and the boys head to the hospital. Maxie, Lulu and Sabrina stay behind and worry about the men in their lives. Sonny is taken to the hospital where Patrick works on him. TJ is taken to the station for his statement. TJ explains to Jordan and Dante what happened. Jordan blames Sonny, but TJ says it wasn&apos;t his fault. TJ tells them that someone else shot Sonny and that Jake took out Charlie and his minions. Sloane threatens to go public letting Anna know that he has Carlos&apos; ID and her gun. 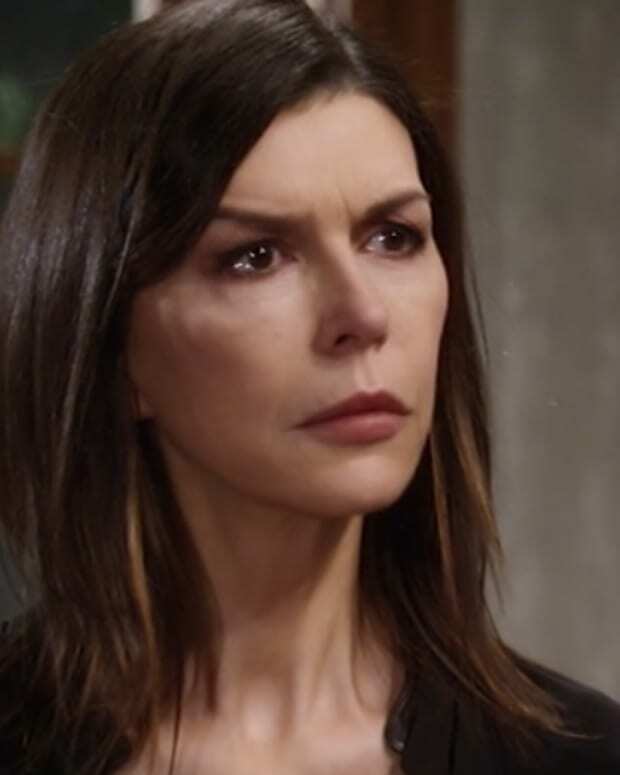 Anna&apos;s upset, saying she trusted him but that he&apos;s wanted to get her since he first came to town. Anna claims Duke was a better man, who lost 20 years. She justifies Duke going after Julian. Sloane reminds her that Julian will never be punished for Duke&apos;s death and it&apos;s all her fault. Sloane swears he won&apos;t lose everything because of her. Julian pays Ava a visit to let her know that Diane will be representing her. He tells her about Sonny&apos;s wedding. Ava worries about Carly being Avery&apos;s mother and tells Julian to stop the wedding. Ava swears she&apos;ll find a way to get her daughter back. Maxie and Lulu warn Sabrina that Michael is just like Sonny, despite Sabrina&apos;s feelings that Michael is more Quartermaine now. Carly overhears Sam tell Jake that he saved Sonny&apos;s life. Carly is grateful to Jake. He tells her that Sonny loves her. Patrick tells them that they need blood to help stabilize Sonny.